Summer may be just around the corner, and so is the most important day in the cybersecurity calendar! It’s time to head to the Olympia conference centre to talk all things security. So get ready to be fuelled by coffee and giveaways and notice a dramatic increase in your step count. With data breaches and hacking scandals dominating the headlines over the last 12 months and with a groundbreaking new regulation being implemented, this time around the event promises to be bigger and better than ever. And, as the predicted 19,500-strong crowd descends upon Olympia next week, we’ll be amongst them, ready to introduce ourselves to some new faces whilst catching up with old friends. 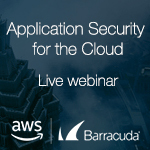 On Wednesday, 8th November, Barracuda will be hosting a webinar with AWS and analyst firm Securosis that will cover web application security in the cloud. In this webinar, we will cover a number of topics including the different types of application security challenges organisations face during a cloud migration, as well how customers can effectively use Barracuda solutions to secure those workloads in AWS. This webinar is intended for an EMEA region audience. You can find all the details below, or just sign up here. We hope to see you there! Signup Page This link will not work in North America or other regions outside of EMEA. Are your emails a target for cyber threats ? 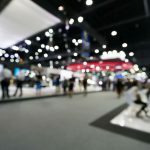 Cloud Expo Europe in Paris is the place to discover the industry’s newest and upcoming technologies and business solutions. The event is the largest gathering of Cloud experts ever organised in France and we’re proud to be one of the exhibitors. Visit Barracuda on stand G32 and meet our experts to discuss how to fully protect your organisations public cloud and making it safe for your business. As part of this, we will be offering free scans of your Office 365 emails to check for advanced threats. Sign up at the show and we will provide you with a complimentary threat report which provides a risk assessment and opportunity to understand how to prevent advanced persistent threats. As an added bonus, when you sign up for the email threat scan we will also enter you into a prize draw for the chance to win 2 VIP tickets to see Green Day Live in Paris! Future Decoded 2016 at the ExCeL, London on November 1 and 2, 2016, will be entirely dedicated to showing how any business can become a digital business, highlighting where to start and the challenges that will be faced. Barracuda will be at Future Decoded on Stand 29 – be sure to stop by to learn more about our award-winning solutions for Office 365, Microsoft Azure, and more. 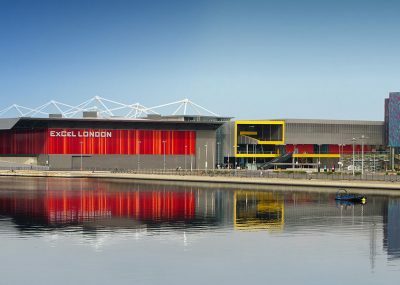 While at Future Decoded, join us for the Future Decoded 2016 Technical Day on November 2. Technical Day is about providing a roadmap to the future that is anchored in the reality of what a developer or IT professional can achieve today. On November 2 at 3:15, Gemma Allen, our Cloud Security Solutions Architect and Cloud Security expert, will present how to address cloud application security through development, QA and production.